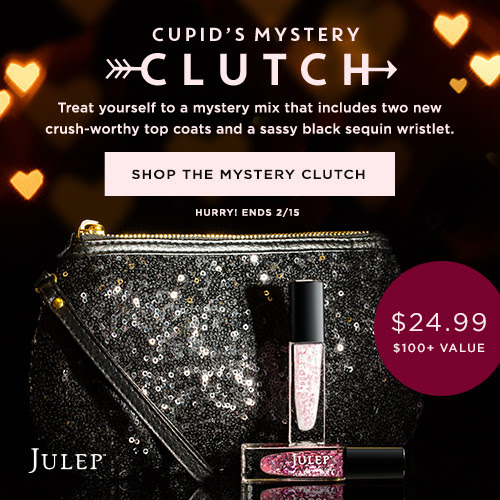 The Polish Jinx: Buy A Valentines Day Clutch AND Get A Free Polish! Buy A Valentines Day Clutch AND Get A Free Polish! CLICK HERE TO BUY THE MYSTERY CLUTCH!! And whats in the mystery clutch? See? The greatest thing about these two polishes is that they don’t have one true love. They have lots and LOTS of true loves—and you get to play match-maker. BUT WAIT!! WANT A FREE POLISH WHEN YOU BUY THE SET?